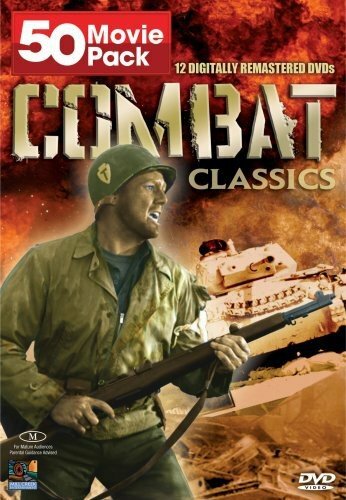 Combat Classics - 50 Movie Pack: The Big Lift - British Intelligence - Go for Broke! - Gung Ho! - One of Our Aircraft is Missing - Three Came Home + 44 more! Product prices and availability are accurate as of 2019-04-12 04:52:37 EDT and are subject to change. Any price and availability information displayed on http://www.amazon.com/ at the time of purchase will apply to the purchase of this product. 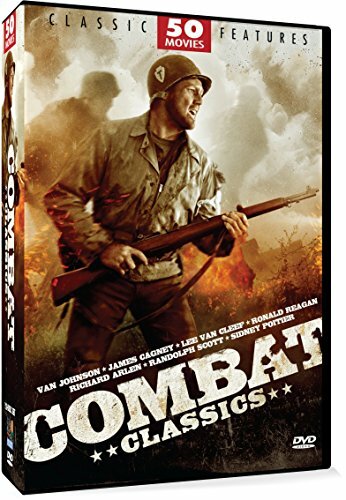 50 gripping feature films capture the heroism and the horror of war in this collection compiled by Mill Creek Entertainment! You will find classic screen legends such as Richard Arlen, Randolph Scott, Van Johnson, James Cagney, Claudette Colbert, Ronald Reagan and Montgomery Clift. Classic movies include Gung Ho, Go For Broke, Blood on the Sun, The Big Lift, Hell in Normandy and many more. There's plenty of action for everyone in this value-priced DVD set. Brand Name: DIG Mfg#: 826831070407 Shipping Weight: 0.83 lbs Manufacturer: Genre: All music products are properly licensed and guaranteed authentic.